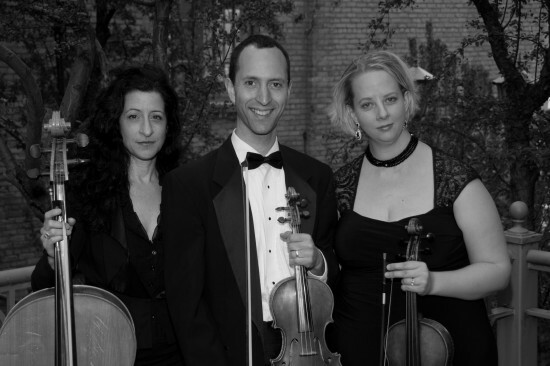 Choose from three amazing string ensembles: a duo, trio or quartet. Prices start at $300. Our vast repertoire includes everything from Mozart to the Beatles, and our powerful tone resonates with young and old alike. Take advantage of our awesome sound and incredibly affordable rates today! The music was absolutely perfect for the ceremony, the social hour, and the subsequent dinner. Countless guests commented on how impressed they were with the playing, the song selection, and the overall contribution of the quartet to the experience. My wife and I couldn't be happier. Hi, Nate! Thank you for your generous compliments. We were so happy to play for you. Your location in Pepin, Wisconsin was absolutely delightful and we always love playing pop love songs for receptions! We wish you many congratulations and thank you for your kind review! Thank you so much, Anna, for your kind words! We are so happy that we had the chance to play for you. I loved meeting with you and working out all the little details and then watching it all come to life! Congratulations and many warm wishes from Sonorous Strings! We booked the Sonorous Strings for our daughter's wedding this summer, and they were great. Many guests commented on how much they enjoyed the music and how good the quartet sounded. They played with accomplishment, joy and style. Krista was also easy to work with beforehand. She was enthusiastic and flexible, incorporating a non-traditional song into our other more traditional selections. During the ceremony they flawlessly rolled with program, including the (inevitable) unplanned change. They were hassle free - they set up, played and broke down with no help needed on our part, which was great since there was so much going on otherwise! I would book SS again with confidence. Thanks so much, Ken! It was a great pleasure to play for your daughter's wedding. We are so honored that you chose to work with us! Our wide variety of repertoire allows us to concertize or to provide background music for special events. We play both strictly classical pieces and more contemporary selections, including rock hits, pop music, selections from musicals such as "Phantom of the Opera" and "The Sound of Music," etc. The Sonorous Strings have been performing together for eight years now. We four are seasoned musicians who've attended, among other music schools, Yale University, St Olaf College and the University of Minnesota. We love making music together, teaching music, and performing with other groups as well. 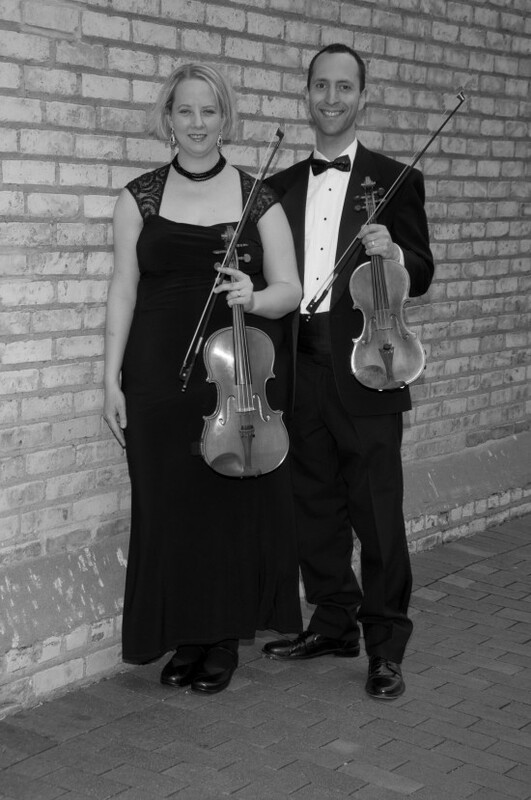 When performing together in Sonorous Strings, Krista and Jeremy Swider have the unique privilege of playing intuitive chamber music with their spouses! Karena Ferrier is a fabulously talented violist who offers her talents to the quartet. 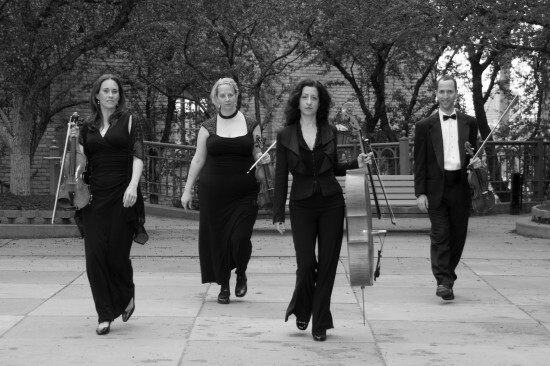 Jacqueline Ultan performs with both the quartet and trio and her vast experience playing with tremendously varied chamber groups combined with her exquisite classical training make her a force to reckon with. Please refer to our website for any questions you may have about our groups, or contact Krista Swider directly. We look forward to hearing from you! Sonorous Strings always provides our own stands and asks only to be provided with armless chairs for each member of the group. We do not require amplification, and bring our own stand lights. Visit our website for our pleasantly exhaustive repertoire list, or inquire further for an e-mailed list of pop songs we perform.